You may recall our latest Est Style Hunter, Alexandra Donohoe from the current issue of Est Magazine – The Nordic Issue. 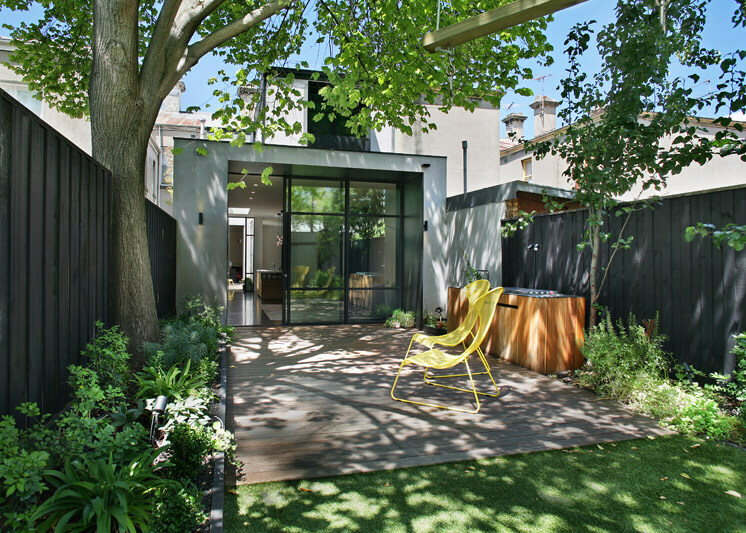 Fabulously stylish in the home, and in life, Alexandra and her team of dedicated designers at Decus Interiors have just had one of their busiest years to date. 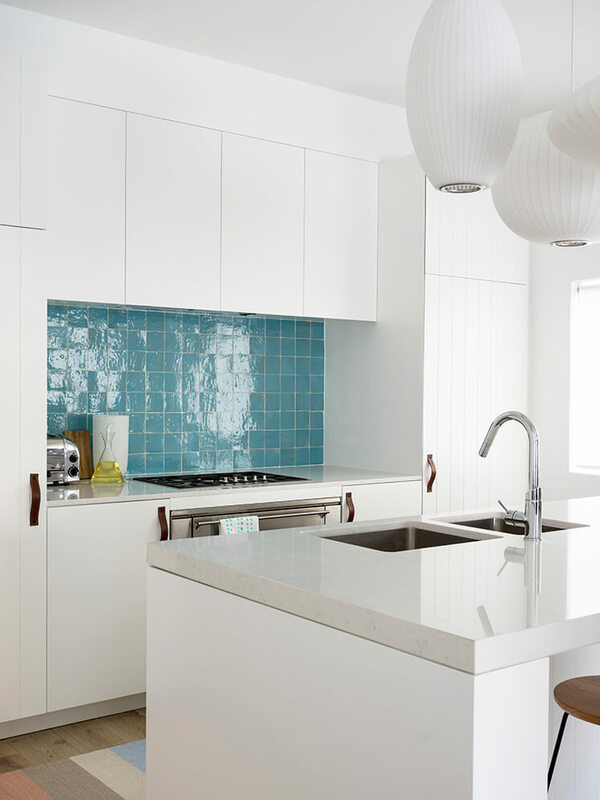 Today we share with you their latest project on the sunny shores of Sydney’s Tamarama Beach. 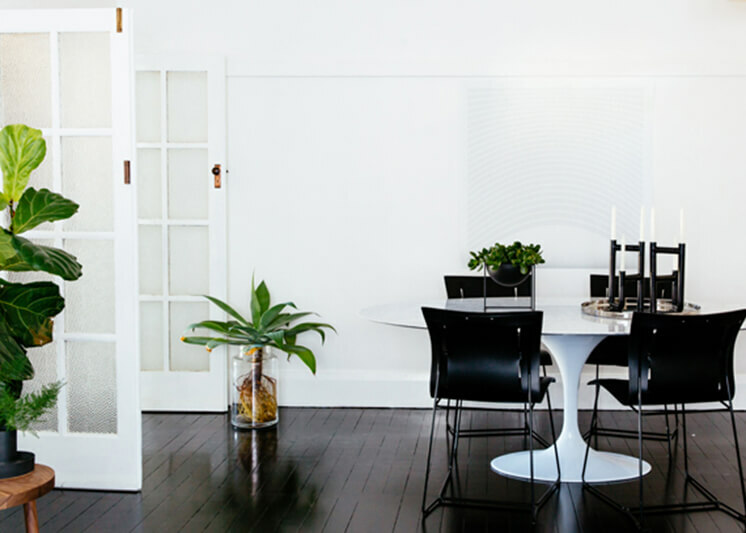 Armed with a brief calling for a practical home with a ‘bare-foot vibe’, Donohoe and the Decus team set about transforming an apartment spanning half a floor and situated atop the awe inspiring clifftops along Sydney’s eastern suburb coastline. 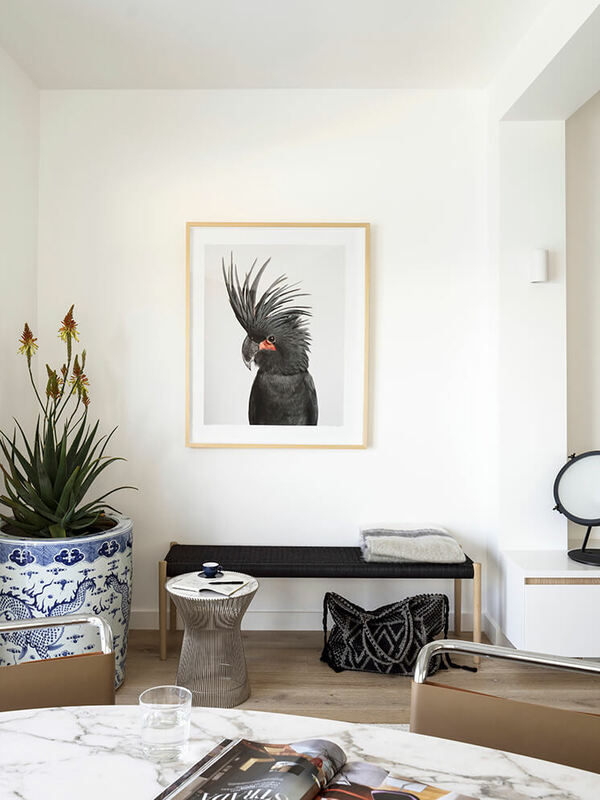 Layering neutral toned, tactile materials consisting of a mix of handmade tiles, natural oak flooring, concrete pigmented flooring, and v-groove paneling, the Decus team accented the mostly monochromatic palette with installations of bold photography from MCM House and Leila Jeffreys. 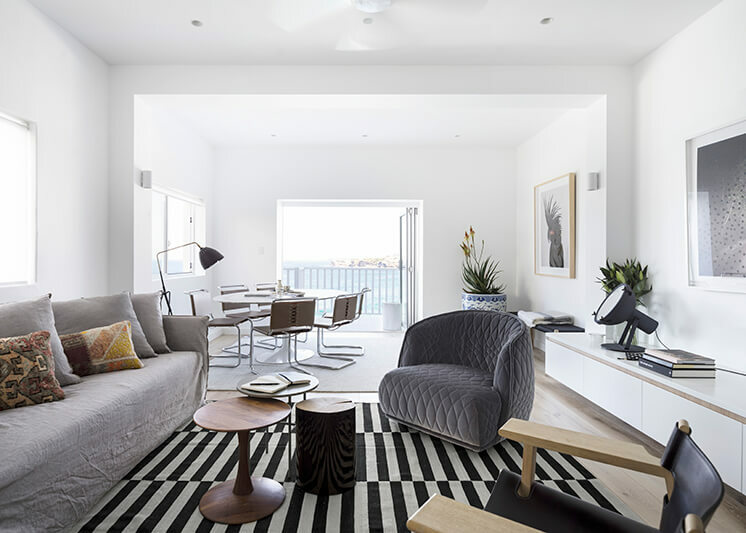 Joe sofa from MCM House, Nemo lamp from Cult, Gervasoni stool from Anibou, Saarinen Tulip dining table and Knoll Spoleto dining chairs from DeDeCe, Lean Light Floor Lamp from Great Dane, Rug from Cadry’s. 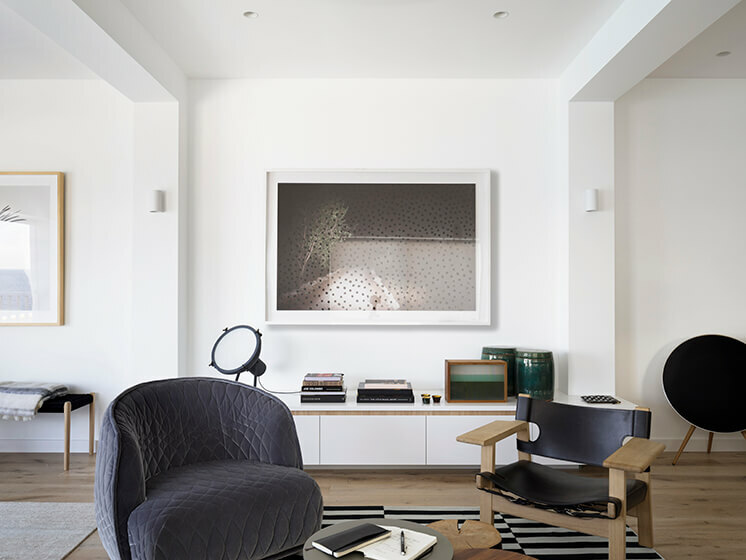 Print on right from MCM House, Deltalight wall lights and down lights from Inlite, Borge Mogensen Spanish Chair from Great Dane, Moroso Redondo Chair from Hub Furniture, Rugs from Cadry’s. 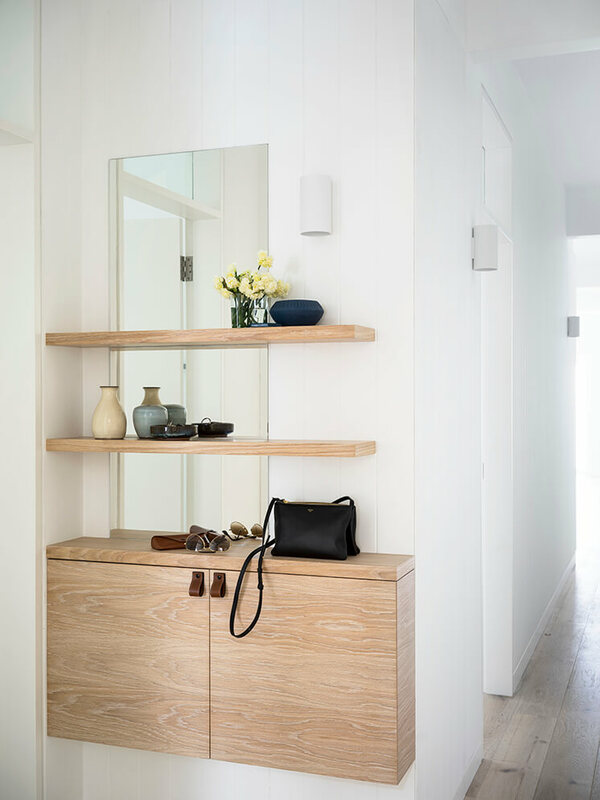 Deltalight Wall Light from Inlite, Saarinen Tulip Dining Table and Knoll Spoleto Dining Chairs from DeDeCe, joinery 2Pak polyurethane in Vivid White, veneer finger pull detail in Oak Crown Cut Limed from George Fethers & Co and Nemo lamp from Cult. 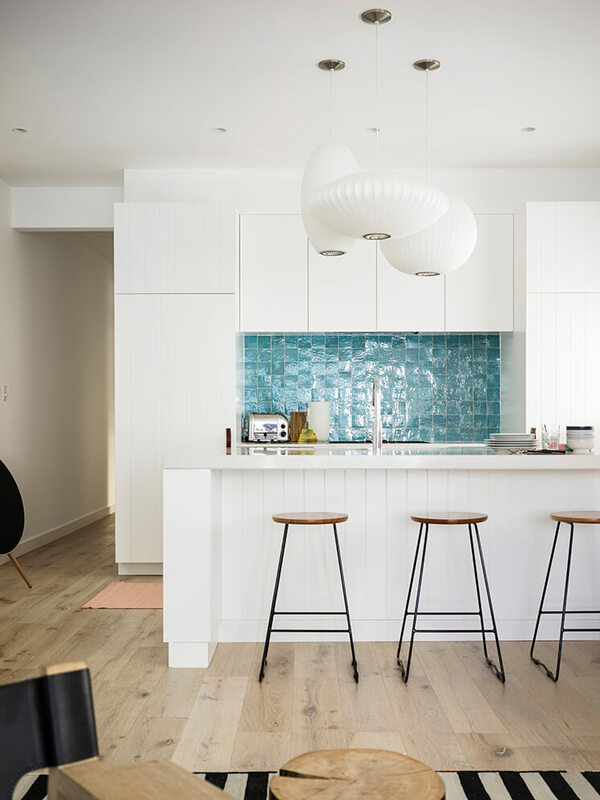 George Nelson Bubble Pendant Lights from Spence & Lyda, stools from Yellow Bungalow, Moroccan hand painted Casa tiles from Onsite Supply + Design. Smeg cooktop & oven, leather handles from Made Measure. 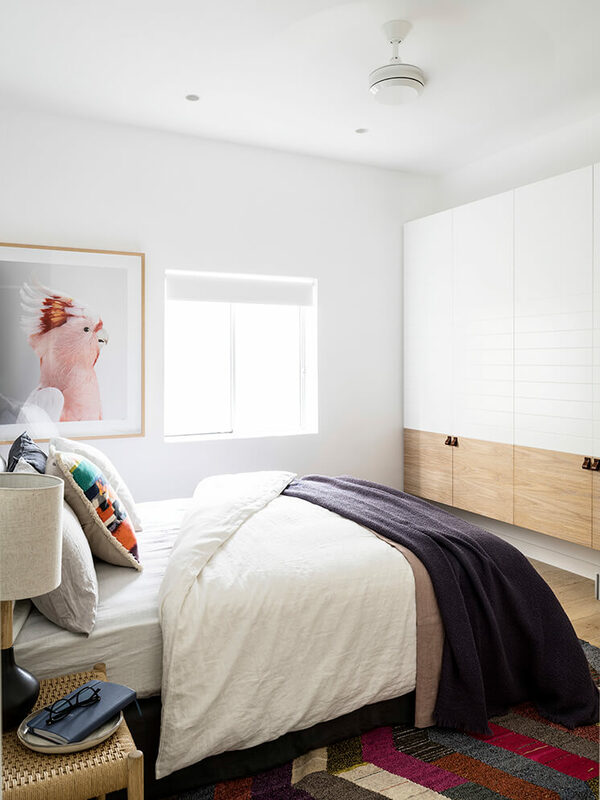 Leather tab pulls from Made Measure, Societe bedlinen from Ondene, rug from Cadrys, bird in frame from Leila Jeffreys, Moller footstool from Great Dane. 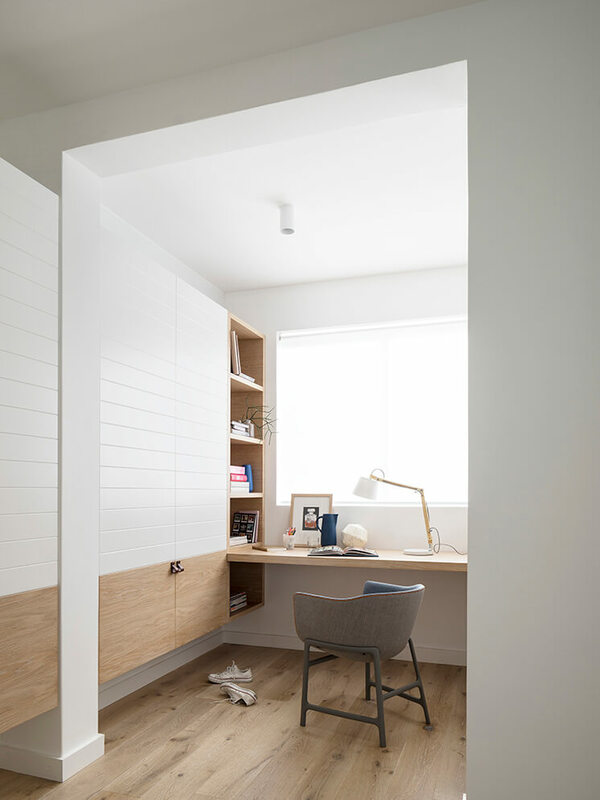 Blinds throughout from Simple Studio, chair from Cult, leather pulls from Made Measure, desk lamp from Hunting for George, joinery veneer detail from George Fethers & Co in Oak Crown Cut Limed. 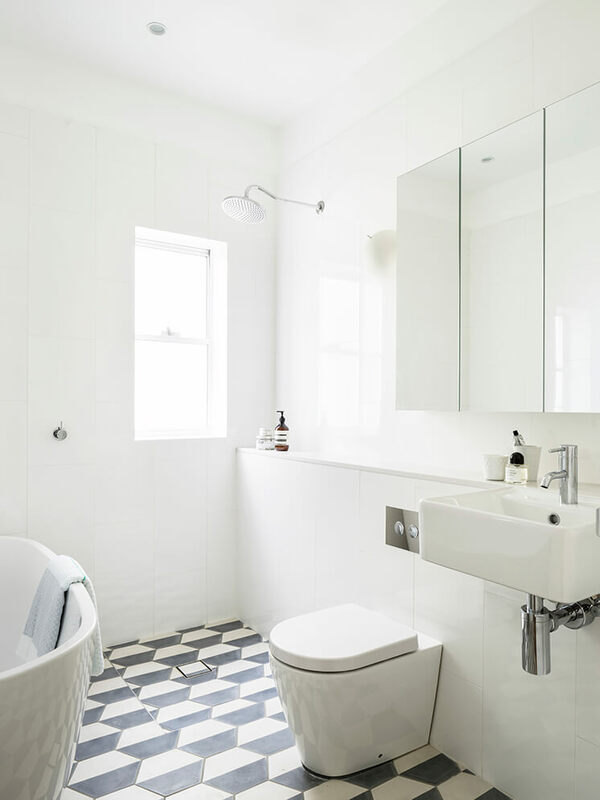 Popham ‘Demi Hex’ floor tiles from Onsite Supply + Design, bathroom products from Hunting For George. 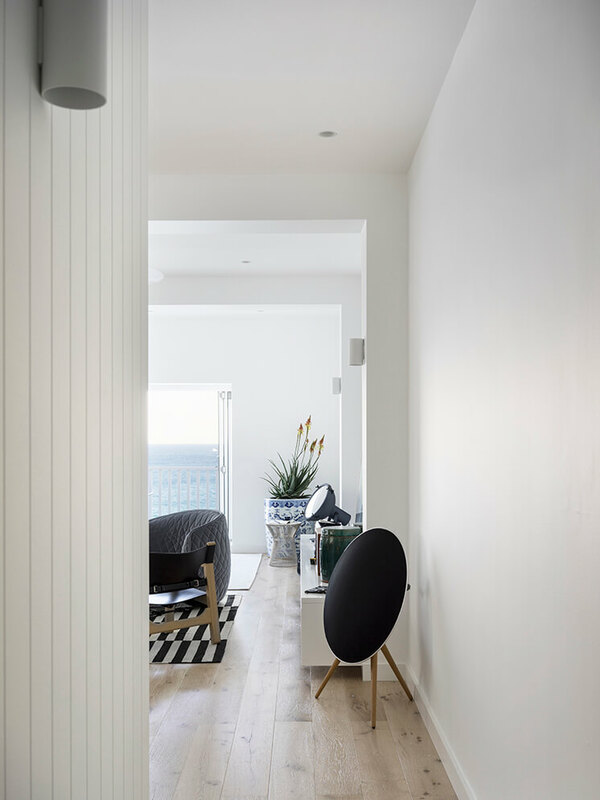 Dot Speaker from Bang & Olufsen, Europlank floorboards from Havwoods in Legacy White. What a beautiful, serene apartment. 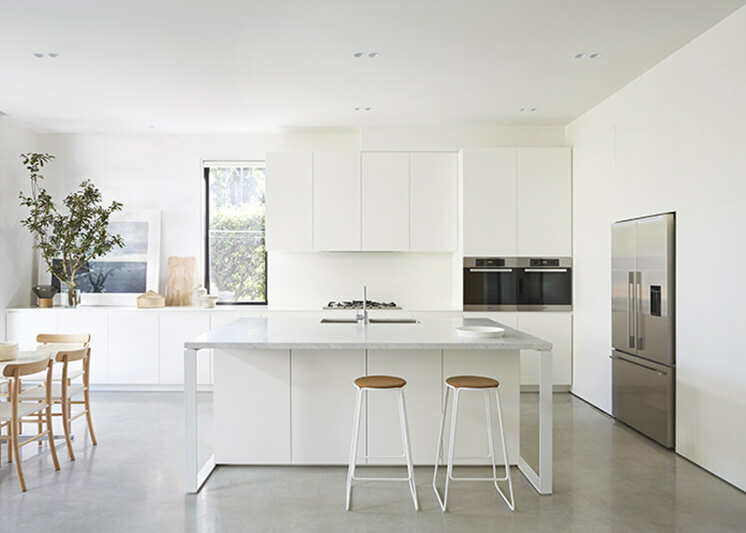 Are the panelled kitchen cupboard doors also constructed of v groove panelling via Easycraft? 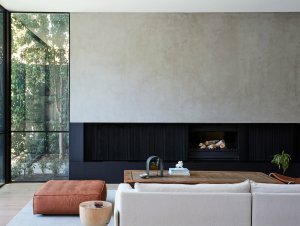 If so, was the Easyclad product used?